Summer is gone and autumn is upon us. 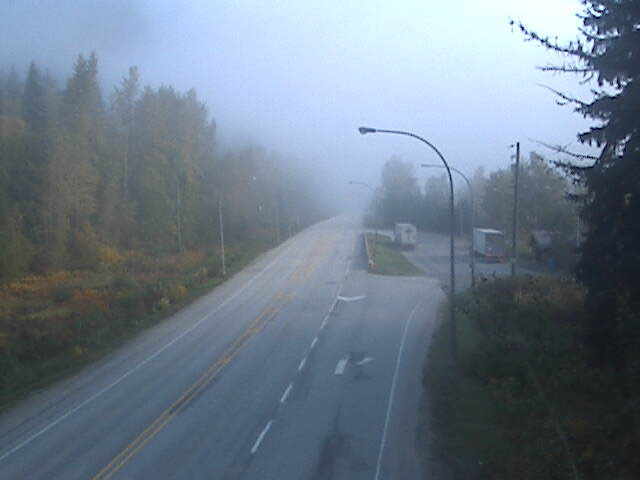 A quick look around our BC HighwayCams on DriveBC confirms it. What does the first day of fall look like in BC? 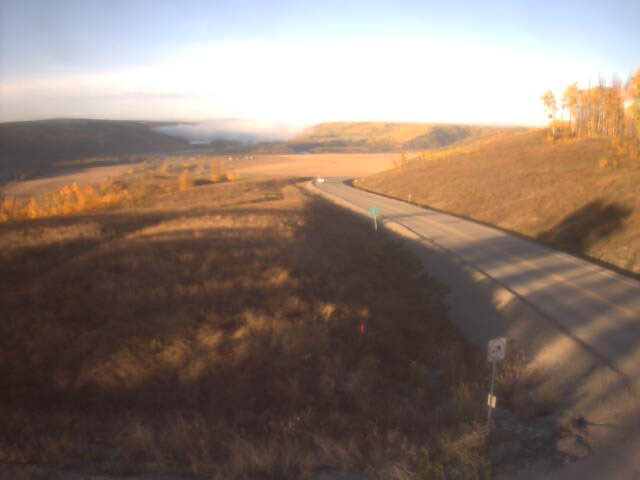 Fog has settled in at Wire Cache. 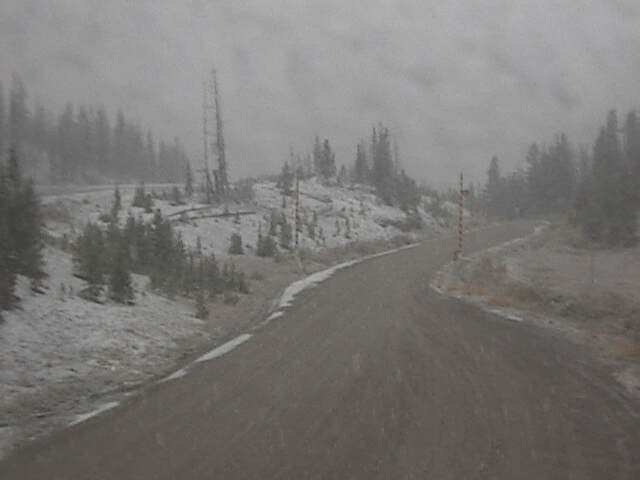 Yes, that is snow at Heckman Summit in the Southern Interior. (Don’t sweat it – make the Shift into Winter now and you’ll be ready for Old Man Winter when he comes). Our Granisle HighwayCam is threaded with gold and brown in true autumn fashion. 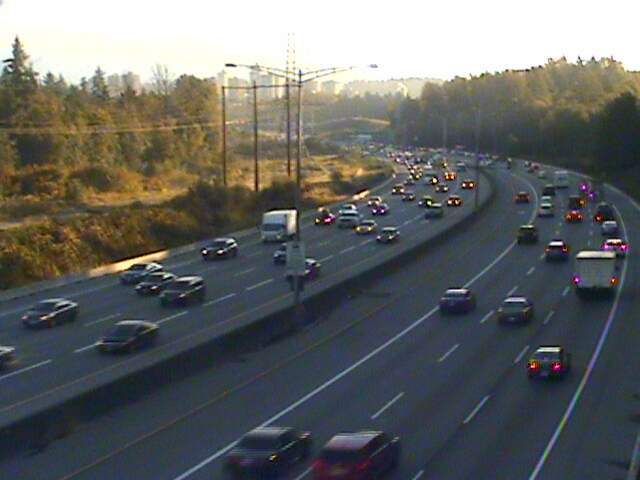 Cold autumn mornings don’t slow down the traffic that buzzes along BC Highway 1 in the Lower Mainland. Wondering what traffic looks like now? 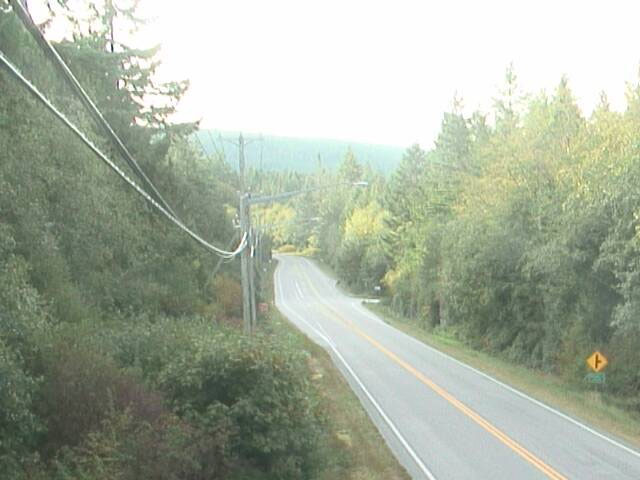 Check out our Burnaby East BC HighwayCam on DriveBC and know before you go. 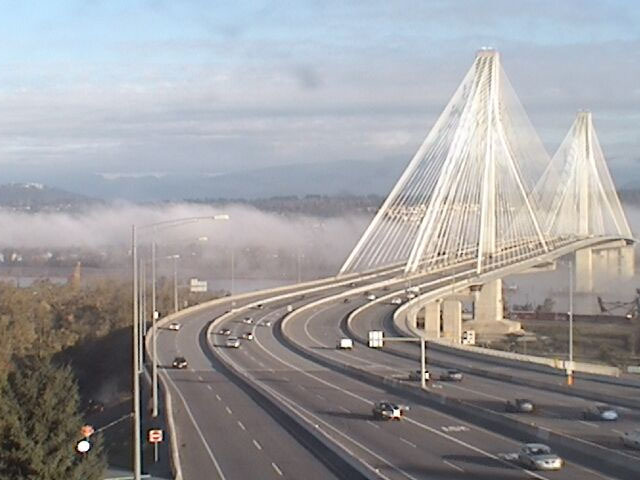 Fog hovers gently above the Fraser River in the Lower Mainland, making the beautiful Port Mann Bridge look like it is hovering too. Secret Cove on the Sunshine Coast looks almost like it has escaped the first day of autumn. Maybe this is why the locals call it “Secret Cove”? Ssssshhhh. 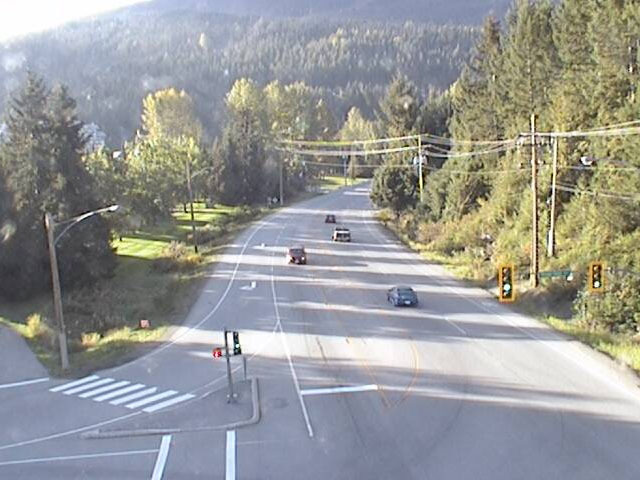 Our Whistler cam is showing a green light for autumn. We know everyone there is already praying for the white stuff. And it looks like Northern Vancouver Island (Crest Lake to be exact) is settling in to what is does best: Rain, rain and more rain. Stay wet V.I., stay wet. Harvest time is in full effect in the Keremeos area; apples and autumn do go hand in hand after all. Well, there you have it. 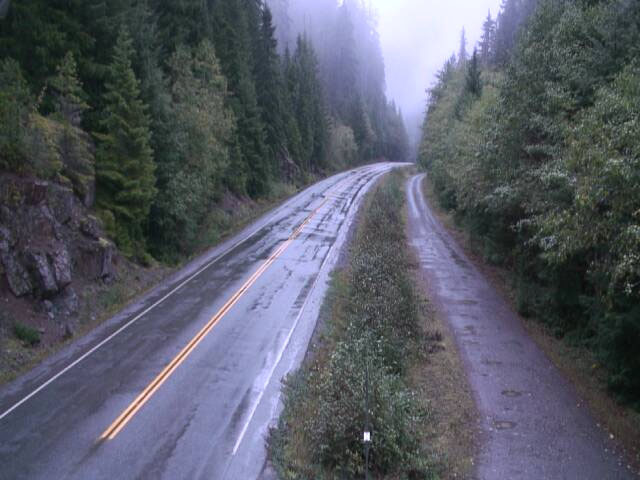 A little bit of everything – sun, rain, fog and even snow on the first day of fall in BC. We have to ask – did you expect anything different? Our amazing summer couldn’t last forever anyways. Drive safely out there folks and remember to check DriveBC before you head out on the highway. Gorgeous photos of this incredible province, however a question, the new background to this here site, where was that taken? Such a pretty area. 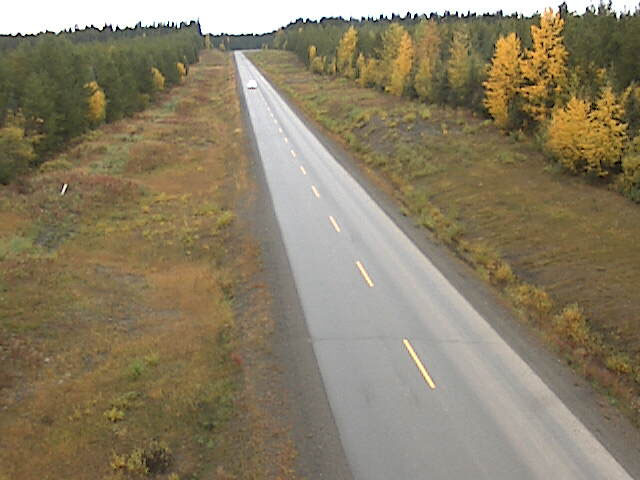 Our new backdrop image was taken near Prince George, on Giscome Road, westbound. Hope that this helps and thanks for the kind comment! Thank you, one of these days I’ve got to get up there, with recent trips to Calgary via the Coq and highway 1 and from Lethbridge via the Crowsnest we do INDEED have one beautiful Province here. 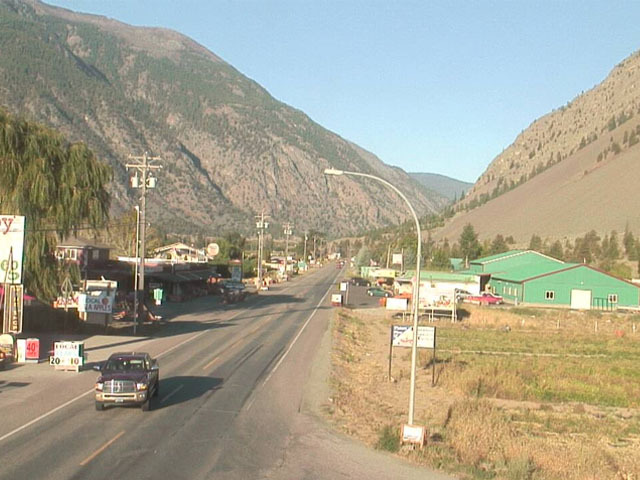 I’ve seen areas from highway 5 to highway 16 on through to Jasper and done the Malahat over on the island. I love driving this province to say the least, however some drivers leave a lot to be desired.